Don’t you dream about owning your own home some day? A nice little house with a cute garden and nice neighbours in a good neighbourhood sounds like a dream, doesn’t it? Maybe you’ve already browsed the web to see what houses are on the market. But, did you think about building your own home? Custom building is becoming a trend once more, and it’s perfectly understandable. While it does sound rather ambitious, there are so many great sides to this option that it does not come as a surprise that more and more people choose to build their house rather than buy it. Back in 2011, The Telegraph pointed out that over 10,000 people chose to build their dream home rather than buy it, and the numbers kept growing each following year. It can be more affordable and easier to handle, not to mention that you will get a chance to build it just the way you wanted, and where you wanted. Even though you might have dreamed about building your own home ever since you first built an improvised tree house with your friends, you have to know that when it comes to your own home things get a bit more serious. 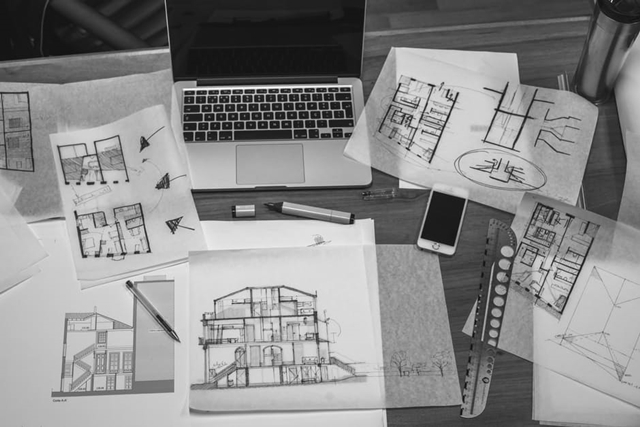 It is always a good idea to get help from a professional: contact your local council and consult it on legal matters, and get an architect to help you with designing your home, state experts in house and land packages from Brisbane. A team of reliable professionals will make your dreams become a reality, and not just a vague image in your mind. Take into account the surrounding landscape as well, it is relevant because it determines which way your doors and windows will face. Not only will you be able to get exactly what you want, but you will be able to get a home that is more efficient and environmentally friendly. You will avoid old materials and other dangers of old houses like lead paint, fungus, termites, and asbestos. New standards for cooling, heating, and ventilation will ensure that your home is safe and protected, and what is more, you will save a lot of money on utility bills each month. You can even go a step further and build your home from some of the best energy-efficient building materials and insulate your house using pallets or insulating concrete forms. Perfection takes time, so building your dream home will probably take longer than you might expect. The costs might be higher too, and when you combine that with a longer timeframe, it is easy to understand why people get impatient and angry. To avoid these things from happening, take your time when planning, finding the right builders, and checking the contracts before you sign them. Patience is golden, and if you are a thorough and meticulous person who doesn’t lose their cool even when under pressure, you will make sure all your plans come through. Custom build is a tiring process which will take a lot of time, even more preparation, and a huge amount of energy. You will get tired and probably encounter a lot of problems; unpredicted situations will drive you mad; and you will be frustrated because things will always seem to go too slow for your liking. Still, if you endure, you will understand why they say that if you want something to be done right, you should do it yourself: in the end, you will open the door to your perfect home and you will fall in love with it.